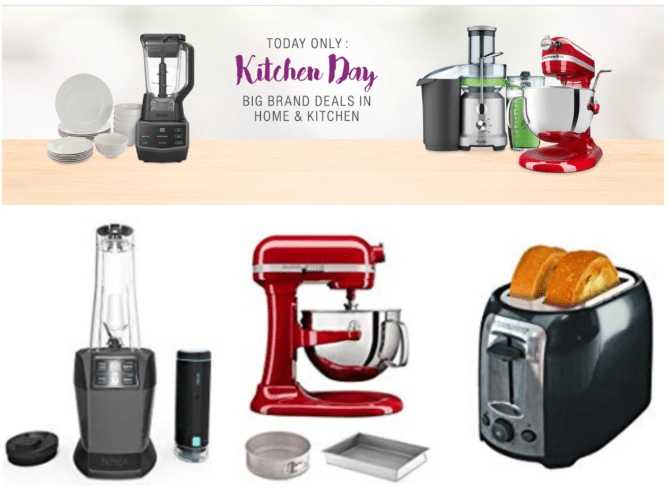 Get KitchenAid KL26M1XCMER KitchenAid Professional 6 Quart Bowl Lift Stand Mixer with 2 Piece Bakeware Set, Empire Red, today for $317.99, list price $619.97, save $301.98 – 49% off. Get Nutri Ninja Blender with FreshVac Technology, 1100-Watt Auto-iQ Base, 2 Manual Speeds, and (2) Single-Serve FreshVac Cups with Lids (BL580), Dark Gray, today for $119.99, list price $199.99, save $80.00 – 40% off. Get BLACK+DECKER Toaster with Digital Countdown Timer, 2 Slice, Retractable Cord, Stainless Steel, today for $37.46, list price $49.96, save $12.50 – 25% off. The Amazon Canada offers are available now, while supplies last. Amazon has FREE shipping on orders over $35. Click here to get the Amazon Canada today’s offers.